Whilst we make every effort to deliver our products to you in the best possible condition we don’t have any control over the temperatures during their transit of you order and cannot accept responsibility for any chocolate or yoghurt products that have been heat damaged. We use Royal Mail and Courier 24hr delivery services so that the product is in transit for as little time as possible to try and reduce the potential effects of heat. The customer is always responsible for checking their delivery arrives in good condition and conforms to the order placed. Any damage must be noted accurately, dated and signed on the delivery note please. Any claims must be made within a maximum time of 48 hours after parcel receipt by email to sales@goldensunrise.co.uk. After this period, no claims will be accepted and unfortunately we can’t offer you a refund or exchange. The reason for any claim must be stated and accompanied by evidence justifying the prejudice suffered. Where possible, please provide photographic evidence. We will make and evaluation of your claim and advise you if we accept the complaint. In this event the customer may choose between reimbursement of the cost of the goods ordered excluding the postal cost or a second delivery. Generally we don’t accept returns of perishable food items and kindly ask you not to return your order unless by prior agreement with Golden Sunrise Foods Limited. If you are requested to return your item(s) then they must be unused and in the same condition that you received them and in they must also be in their original packaging. Please only send your purchase back if requested and approved to do so by Golden Sunrise Foods Limited. If requested to do so please only ever send your returns to: Golden Sunrise Foods Limited, Units 1-4, Beaumont Court, Twickenham Avenue, Brandon, Suffolk IP27 0PD. We will send you an email to notify you that we have received your returned item. We will also notify you of the approval or rejection of your refund as soon as possible. 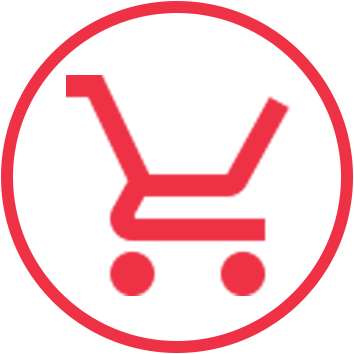 Please note that the pictures and photos on our site are representative of our product range but are not contractual. If a complaint is accepted the customer may choose between reimbursement of the cost of the goods ordered excluding the postal cost or a second delivery of the same product(s). If you chose a reimbursement, then your refund will be processed, and a credit will automatically be applied to your credit card or original method of payment for cost of the goods ordered excluding the postal cost. If the customer chooses to receive a second delivery then this will be sent without further delay. If you’ve done all of this and you still have not received your refund yet, please contact us at sales@goldensunrise.co.uk. We only replace items if they are proved to be defective or damaged but please note we need to receive contact from you as described above and we kindly request that you follow the above outlined procedure first. 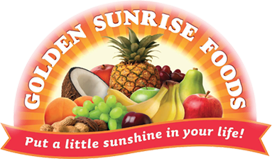 To return your product, you should mail your product to: Golden Sunrise Foods Limited, Units 1-4 Beaumont Court, Twickenham Avenue, Brandon, Suffolk IP27 0PD but please only do so if requested to do so by us. Any item that is notified to us after 48 hrs of it’s delivery.